I am happy with this watch, although it did not look as I expected based on the photograph. The watch face is not nearly as dark as it appears and I thought at first that the wrong watch had been sent. I guess that the face is technically silver, but looks more cream colored. That being said, I like the watches' clean lines, large case and elegant easy to read dial. Can't go wrong with Michael Kors. Iconic designer Michael Kors is one of the top names in American fashion, with fashion forward styles and bold designs. 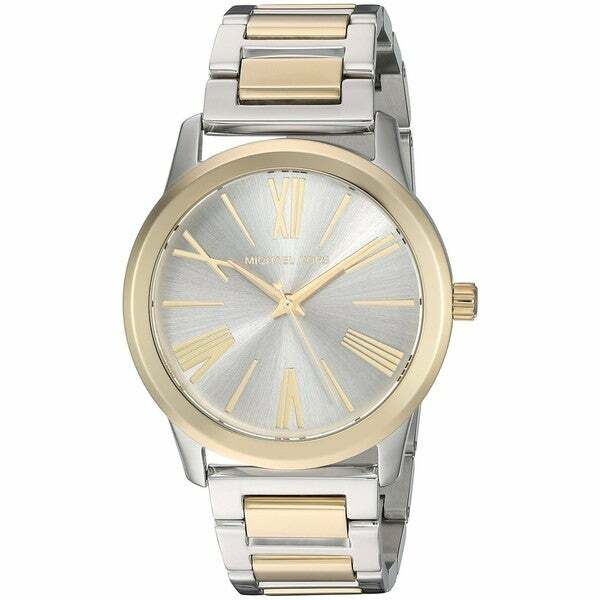 This women's watch from the Hartman collection features a two-tone stainless steel bracelet and silver dial. It's exactly what I wanted! Beautiful, My husband bought me for my birthday. i like a large watch that is clean looking and easy to read, and I wanted a two tone.